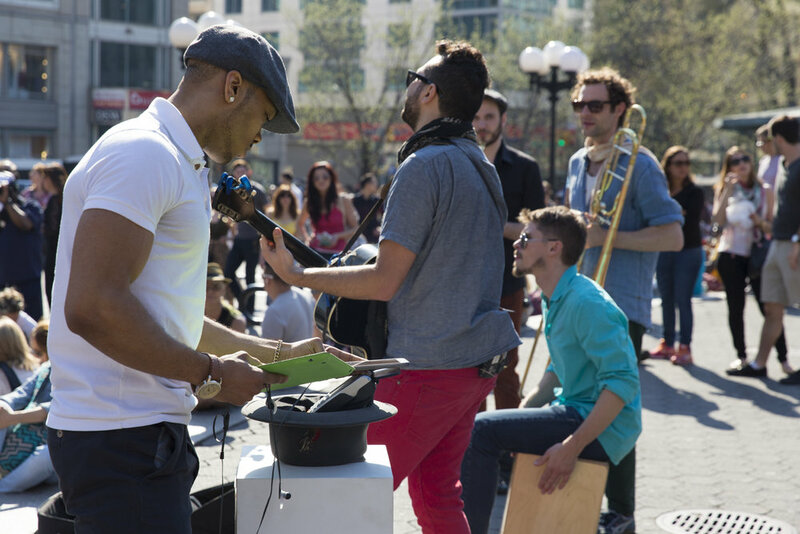 Street musicians working for tips face a common problem these days: Nobody carries cash. 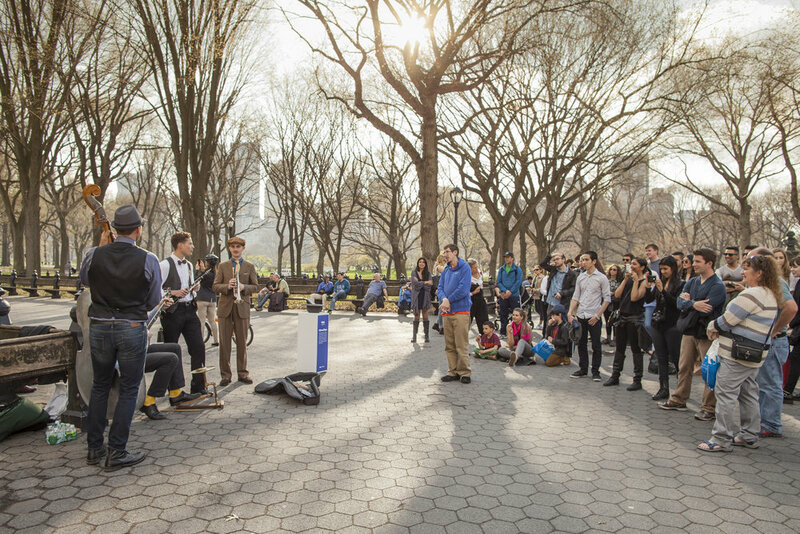 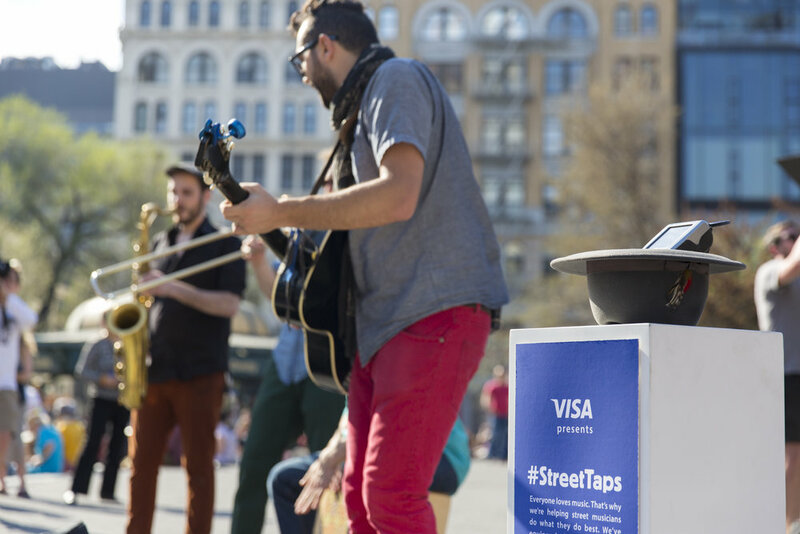 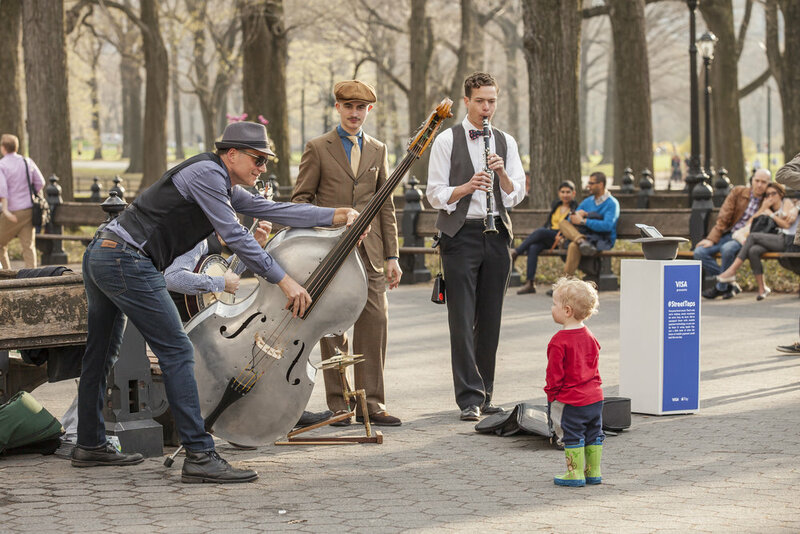 Street Taps gives street musicians a new way to make a buck. 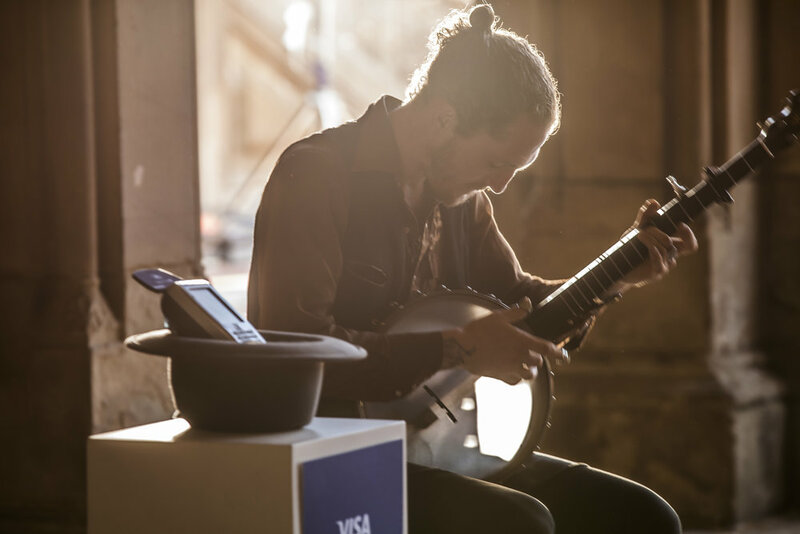 By creating portable mobile payment stations, Visa hooked them up with the latest technology. 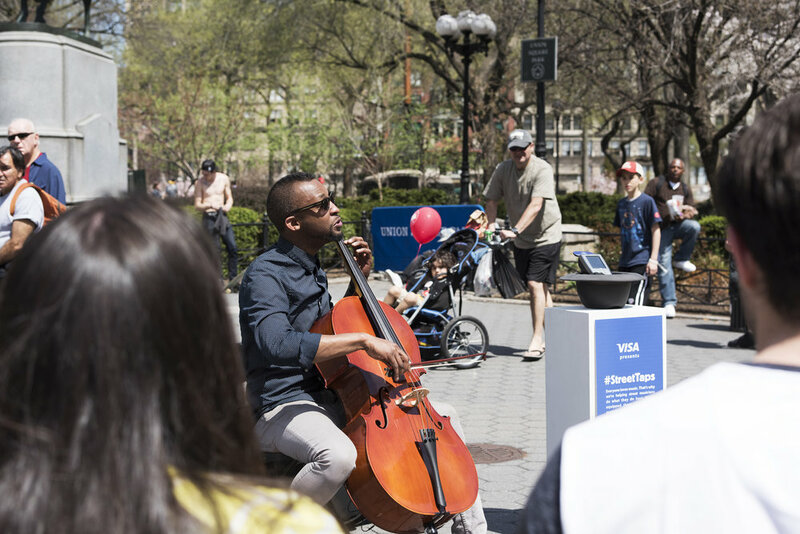 All over NYC, street musicians performed live and anyone could leave them a $1 tip with their iPhone.